MAIDAN SHAR, Afghanistan, Jan. 21 (Xinhua) -- At least 18 people were killed and 27 others wounded after a Taliban car bomb explosion hit an Afghan Special Forces' station in Maidan Shar, capital of eastern Wardak province on Monday, a local official said. "About 18 killed and 27 injured, mostly military personnel, were admitted into a main public health hospital in Maidan Shar following Monday morning's blast. And some injured were shifted to the national capital of Kabul for intensive care treatment," Director of the provincial health department Mohammad Salim Asghar told Xinhua. The explosion occurred roughly at 7:40 a.m. local time when one militant rammed an explosive-packed hijacked military vehicle into the facility about two km away from city, destroying the gate and a nearby main building, a security source told Xinhua. "Four militants were involved in the attack. One was killed in a car bomb blast and three other Taliban gunmen were shot dead by security forces after the blast," he said. The blast caused a plume of gray smoke to rise above the scene. The Taliban militant group claimed responsibility for the attack shortly after the blast. Zabiullah Mujahid, a purported Taliban spokesman, told local media that a militant of insurgents' fighters stormed a security force's base with a car bomb and the huge blast was immediately followed by an assault by a second group of the armed militants. Taliban militants, who ruled the country before being ousted in late 2001, renewed armed insurgency, killing government troops as well as civilians. 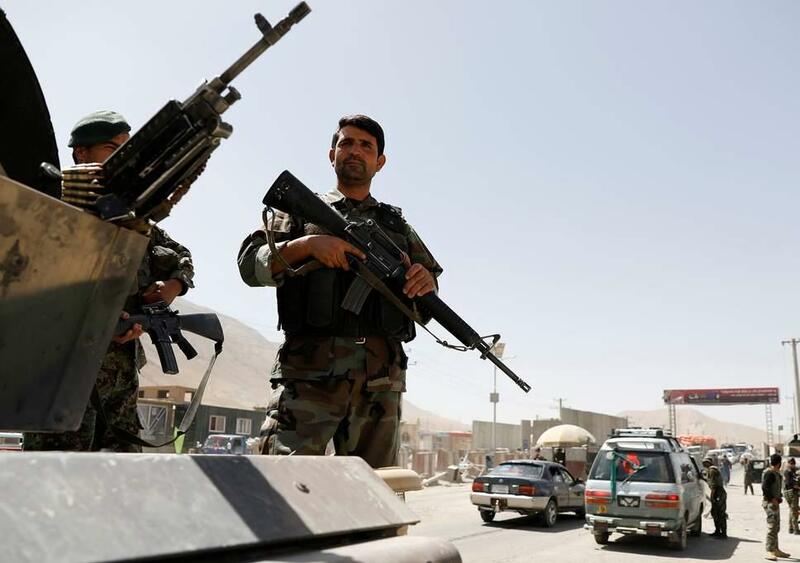 On Sunday, eight Afghan security force members were killed and several others wounded after a Taliban suicide car bomb struck a provincial governor motorcade in neighboring Logar province.